If you've got Central Asian cuisine on the mind, a recent opening is need-to-know. Located at 498 Ninth Ave. in Midtown West, the newcomer is called Farida Central Asian Cuisine & Grill. According to its website, this establishment introduces diners to Uzbek, Kazakh, Uyghur and Tajik cuisines. Look for spiced salads adorned with mixed greens, yogurt, cucumbers and radishes, imported freshly brewed green tea and more. 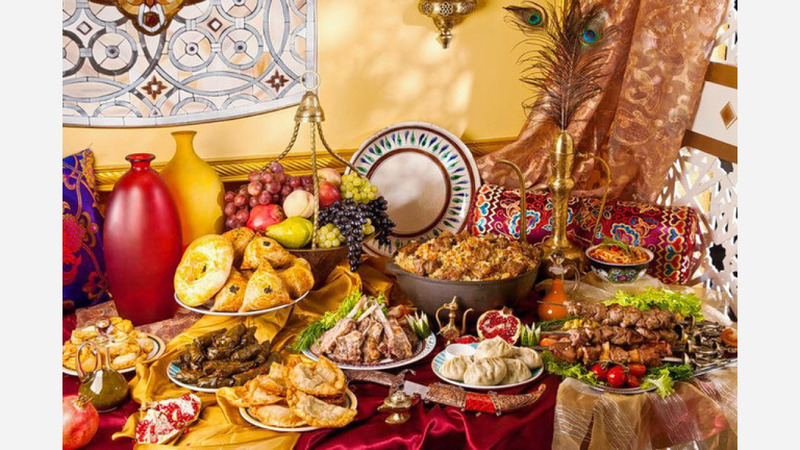 Cultural dishes include plov, which is a mix of lamb and beef, rice, carrots and chickpeas; samsa (steamed meat dumplings); shurpa (meat broth with vegetables); and lagman, made with diced meat, vegetables and homemade noodles. With a 4.5-star rating out of 20 reviews on Yelp so far, Farida Central Asian Cuisine & Grill is on its way to developing a local fan base. Karl M., who was among the first Yelpers to review the new spot on July 4, wrote, "This place deserves to succeed because it's great food served by a great staff. Everything was absolutely delicious -- very fresh and made with a great deal of care and pride, down to house-made pastries and naan." And Adam T. wrote, "This was a great experience. The workers were super pleasant -- such nice people. The restaurant itself was well-decorated and tasteful. Beautiful serving plates. This is such a unique and fun place." Head on over to check it out: Farida Central Asian Cuisine & Grill is open from 11:30 a.m.-midnight on Monday, 11 a.m.-10 p.m. from Tuesday-Thursday and 11 a.m.-midnight on Friday-Sunday.